UPDATE: this event is SOLD OUT. A waitlist will be available on the day of the event at 6pm. Please note that we cannot guarantee that any extra seats will be available. 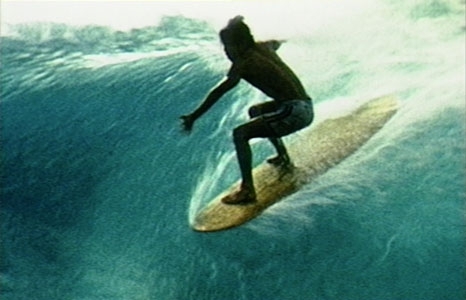 Filmed by the father of the surf film genre, Bud Browne, The Essence evocatively shares the beauty of surfing while pondering the reason why we surf. Beautifully produced with archival footage from the Bud Browne Film Archives, it showcases over fifty of surfing’s greatest legends, among them the likes of George Downing, Buzzy Trent, Greg Noll, Barry Kanaiaupuni, Joey Cabell, Gerry Lopez, and Duke Kahanamoku. A celebration of the sport and the generations who defined it, The Essence captures the pure joy and mystery of riding waves. We close the festival this year with the premiere of the Bud Browne Archives’ The Essence followed by an on-stage panel in tribute to legendary big-wave rider George Downing. Special guests of honor for the evening will be the Downing family. Ticket includes live music by Men in Grey Suits and dinner by EAT Honolulu in the Luce Pavilion. Beer, wine, and soft drinks available for purchase. A short tribute film to George Downing will screen before the presentation of The Essence at 7:30pm, followed by a Talk Story lineup with Barry Kanaiaupuni, Jock Sutherland, Joey Cabell, Randy Rarick, Darrick Doerner, Joe Quigg, and others. Film Awards: The winners of the audience choice awards will be announced during the closing night festivities, along with the presentation of the Bud Browne Surf Film Award courtesy of the Bud Browne Archives. This award will be given to an outstanding surf film that reflects what Bud Browne, father of surf film cinema, represented in the art of surf filmmaking during his time, which was innovation, inspiration, and imagination.